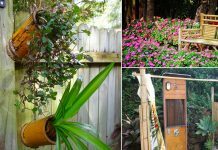 Transform your furniture into unique containers to grow plants with these 13 neat DIY Planter Ideas for the home and garden! 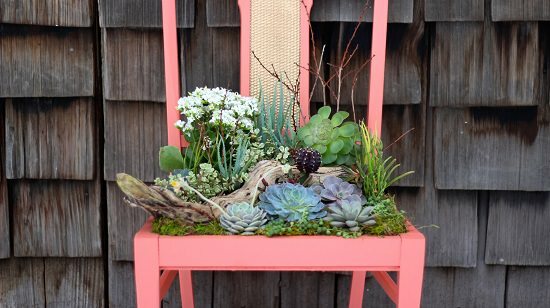 Convert an old tarnished chair into an unblemished succulent planter. This DIY is absolutely amazing and inspiring idea. Watch this video tutorial for more info. 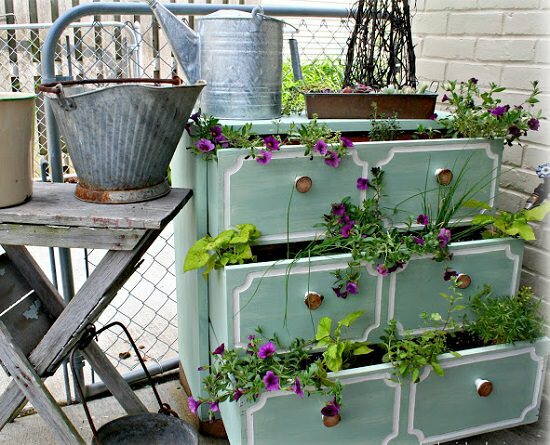 An old dresser beautifully transformed into a three-story planter using paint and the planting essentials. 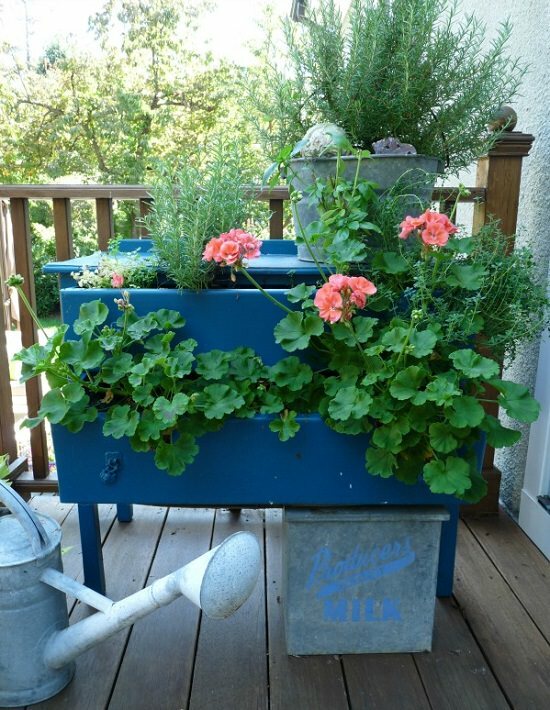 Create this unique and economic planter with the step-by-step tutorial here. Plant a tree in a wooden table by digging a hole into it. 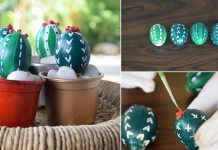 Visit Shelterness to know more about this DIY! 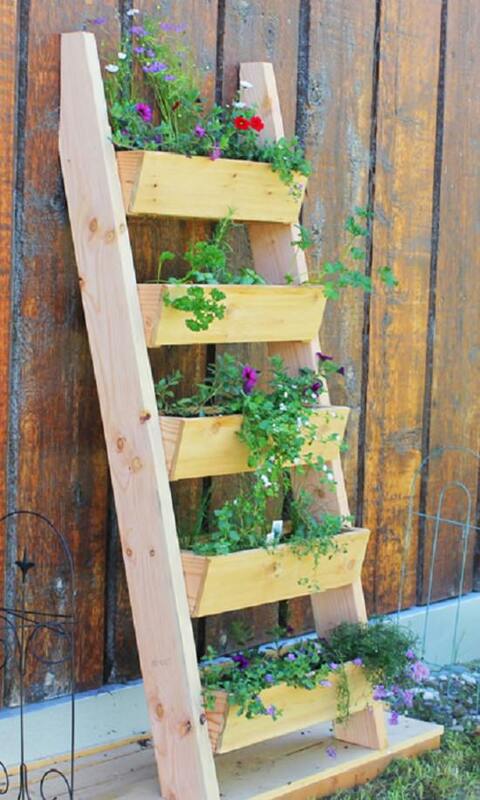 Create a vertical cedar ladder planter with the plants you admire the most! To recreate this idea for yourself, click here. 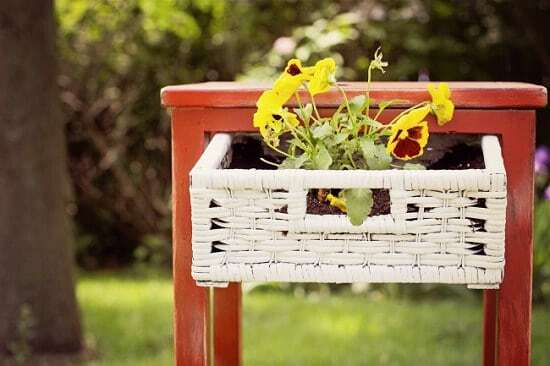 Repurpose an old vanity, dresser or chest of drawers to recreate this DIY planter. Use it to decorate your front porch or any room! Get more information here. 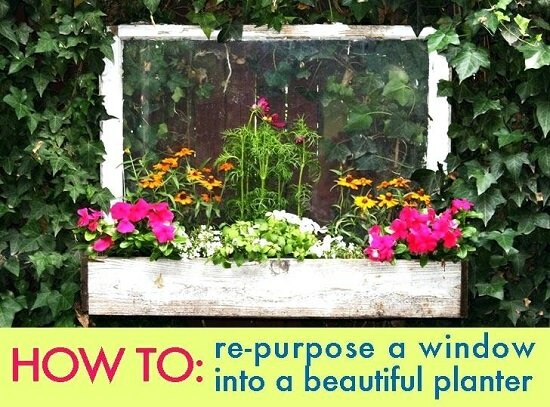 Use an old and tarnished single-pane window to make a beautiful planter for yourself. Follow the tutorial available here. 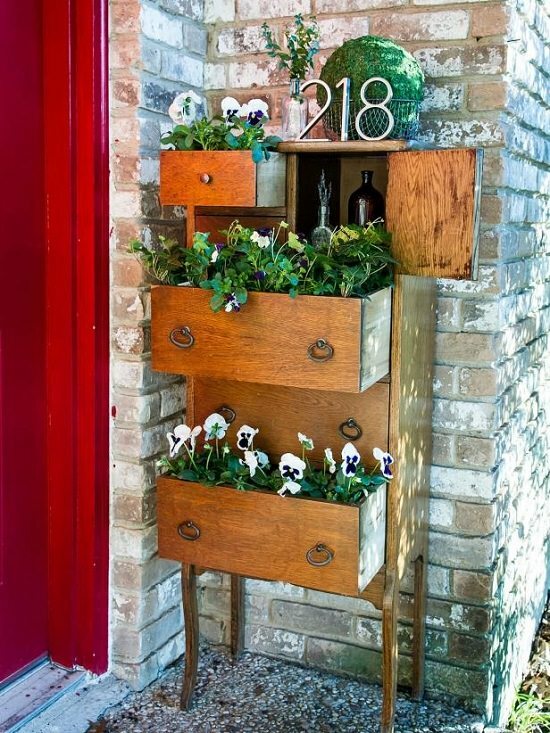 Another dresser planter idea, replicate this project and turn an old dresser into a planter full of your favorite plants. Get the tutorial here. 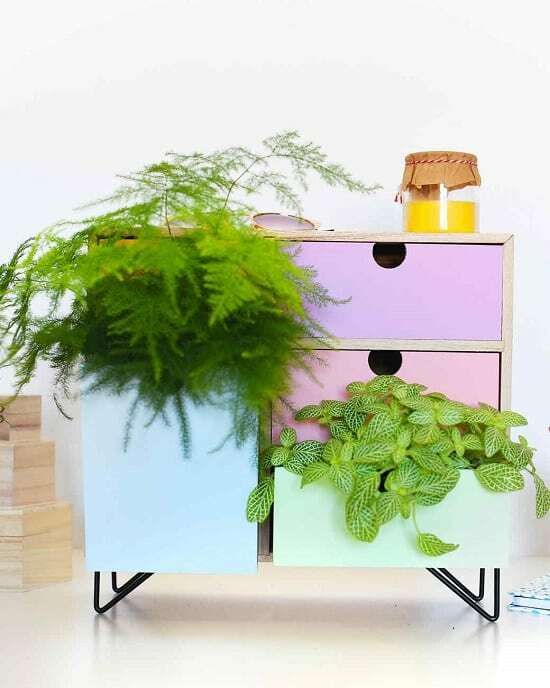 Visit MarthaStewart.com to learn how to upcycle a reclaimed drawer unit into a DIY planter. 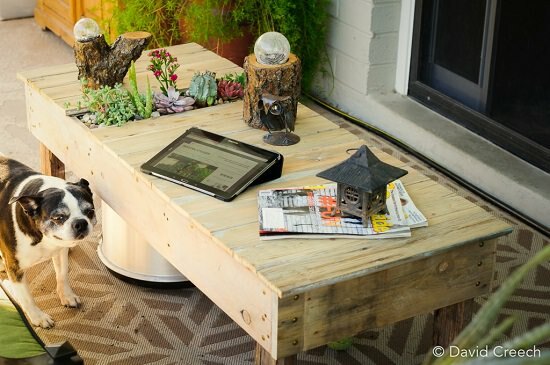 In this DIY post, find out how this blogger transformed an old side table into a side table + planter. 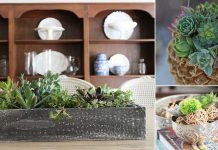 Learn how to make a planter that doubles as a side table using a concrete pot filled with succulents. The descriptive DIY tutorial is here! 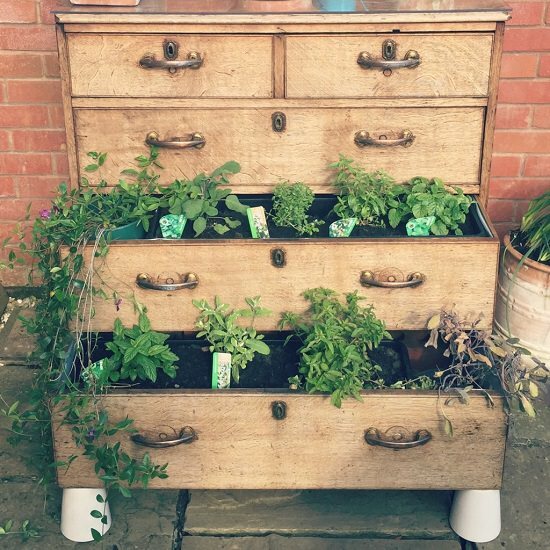 Learn how to create a unique herb garden by repurposing old chest of drawers. The step by step tutorial is here. 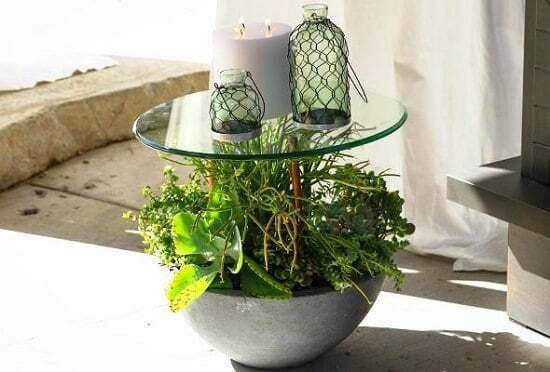 Check out this DIY article to learn how to create a coffee table with an interesting mini succulent garden for your patio. 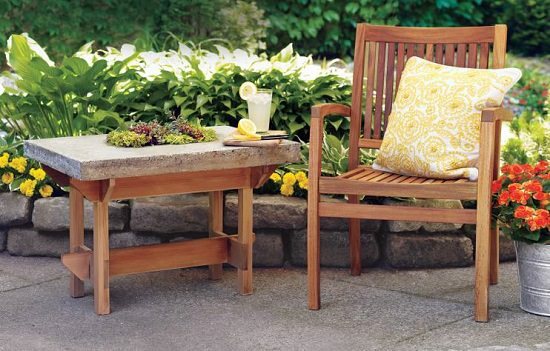 This beautiful Hypertufa table is durable in harsh weather and looks beautiful outdoors. To make one for yourself, visit This Old House!